The first search engines emerged in the early 90s. By the time Google was created in 1996 there were many other search engines, including Yahoo. The Web boom began and people realized that you could really make money from websites. So they came to the conclusion that they needed to attract traffic. What was the best way of attracting traffic? The search engines . 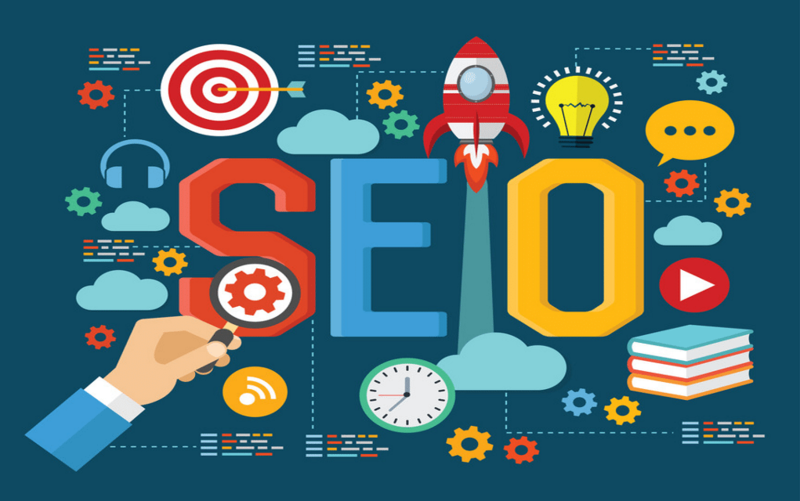 At that time the owners of websites began strategizing on how to get to page one of on the search engines and hopefully to that number 1 spot… SEO was born! 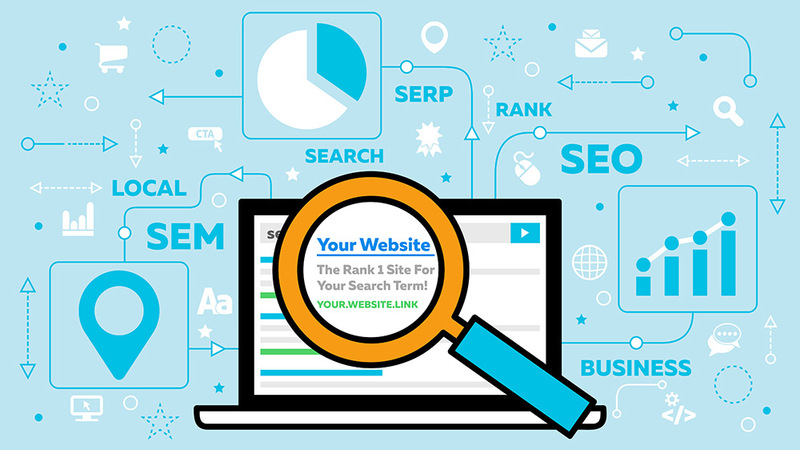 According to Wikipedia, SEO is: Search engine optimization is the process of improving the visibility of a website in the organic results of the different search engines. It is also common to name it by its acronym, SEO (Search Engine Optimization). SEO has changed a lot in recent years. We just have to look at the large number of updates that have come out in recent years. Penguin and Panda to name a few. The authority is basically the popularity of a website. The more popular the information, the more valuable it is. This factor is what a search engine takes into account since it is based on the user’s own experience. The more a content is shared, the more users have found it useful. Relevance is the relationship a page has with a given search. This is not simply that a page contains a lot of the term sought (in the beginning it was like that) but ranking is based on hundreds of on-site factors. 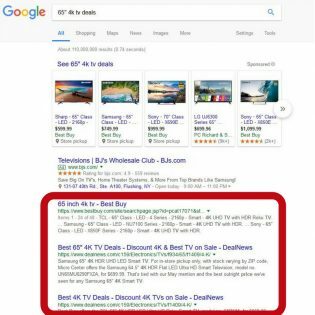 On-page: On-page SEO deals with the relevance. It ensures that the web is optimized so that the search engine understands the topic and content of the page. Within On-page SEO we would include keyword optimization, loading time, user experience, code optimization and format of URLs. Off-page: Off-page SEO focuses on external factors of the website.. 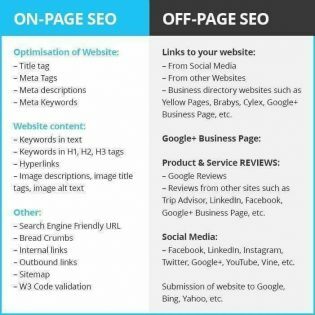 The most important factors in off-page SEO are the number and quality of its back links, social media presence, mentions in local media, brand authority and performance in the search results (CTR from the search search engine). Black Hat SEO: Black hat is the attempt to improve the search engine ranking of a web page using unethical techniques or those that contradict the guidelines of the search engine. Some examples of Black Hat SEO are Cloaking, Spinning, SPAM in forums and blog comments, or Keyword Stuffing. Black hat can provide benefits in the short term, but it is generally a risky strategy. White Hat SEO: Consists of all ethically correct actions that meet the guidelines of search engines to rank a web page. Since search engines give greater importance to the pages that best respond to a user’s search, White Hat understands the techniques that seek to make a search engine page more relevant by providing value to its users. The most important reason why SEO is necessary is because it makes your website more useful for both users and search engines. Although the Search Engine Robots can not yet see a web page as a human does. SEO is necessary to help search engines understand what each page is about and whether or not it is useful for users. We have an ecom site dedicated to the sale of children’s books. Well, for the term “coloring books” there are about 673,000 searches per month. Assuming that the first result that appears after doing a Google search gets 22% of clicks ( CTR = 22%), we would get about 148,000 visits per month. Now, how much are those 148,000 visits worth? Well, if for this term the average cost per click is $0.20, we are talking about more than $29,000 / month. The job of a search engine can be summarized in two steps: tracking and indexing . A search engine crawls the web with what is called bots. Bots scroll through all the pages through the links. Hence the importance of a good link structure. As any user would do when browsing the content of the Web, they pass from one link to another and collect data about those web pages that they provide to their servers. The crawling process begins with a list of web addresses of previous crawls and sitemaps provided by other web pages. Once they access these pages, the bots look for links to other pages to visit them. The bots are especially attracted to new sites and new content. It is the bots themselves that decide which pages to visit, how often and how long they will crawl that page, that’s why it’s important to have great loading time and updated content. Once a bot has crawled a website and collected the necessary information, these pages are included in an index. There they are ordered according to their content, their authority and their relevance. Once the pages are tracked and indexed, the time comes when the algorithm acts : algorithms are the computer processes that decide which pages appear before or after the search results. Once the search is done, the algorithms check the indexes. This way they will know which are the most relevant pages taking into account the hundreds of ranking factors. And all this happens in a matter of milliseconds. White Hat SEO is a technique coined by SEO professionals which means that you are doing SEO in a compliant and ethical way. Search engines constantly update their algorithms in order to always provide us with the most relevant, legitimate and reliable results. Black Hat SEO specialists try to find workarounds to take advantage of the weaknesses of the algorithms. Once these weaknesses are identified by Google or Bing, the algorithms are updated. It’s a constant cat and mouse game! White Hat techniques all aim to generate organic traffic through high quality content, no keyword stuffing PBN’s or sketchy link building tactics. Good quality of incoming links . Backlinks must always come from authority sites with content relevant to yours. Backlinks are a big ranking factor and should always come from respected site. Publish quality, unique and persistent content . Promote them on social networks and / or via a newsletter this is useful to increase your visibility and increase the traffic to your contents. Use the right keywords . Using keyword analysis tools is strongly recommended to identify the right keywords and long tail keywords. In addition, search engines give priority to a few HTML tags (for example, headers and headlines). Ensuring that the keywords used in your content are present in these tags is very important. Have a clear website strucutre . Make it as easy as possible for search engine bots to crawl your website, it’s important that the structure is as simple as possible. To help guide you, Google provides some general guidelines for finding, indexing, and categorizing your company’s site. The same is true for Bing who also provides a set of guiding rules . Black Hat SEO is a technique used by some site owners that are considered questionable, unethical and punishable by search engines such as google. Black Hat SEO combines design schemes and content that is designed specifically to game the algorithm and not made with the reader in mind. It’s a bit like “cheating” to get results fast. The use of black hat techniques is very effective to obtain very high traffic over a limited period of time. But by using these techniques your site can be penalized. In some cases, it can be totally de-indexed from Google’s results. Publish duplicate content or steal content from other sites. Set up doorway pages . A doorway page is a page created specifically to “seduce” the algorithms, in particular Google. They are pages that trick google into seeing one thing and sending the visitor to a different page. Use scripts that display different content, depending on whether the visitor is a Google robot or a human being. This technique is called “cloaking”! Use robot programs to spam forums or insert comments on blogs with your links. Black Hat SEO benefits from the “weakness” of search engine algorithms. By exploiting their flaws, the results obtained are often surprising. But (because there is always a but) You may be penalized in the next update of the algorithms. 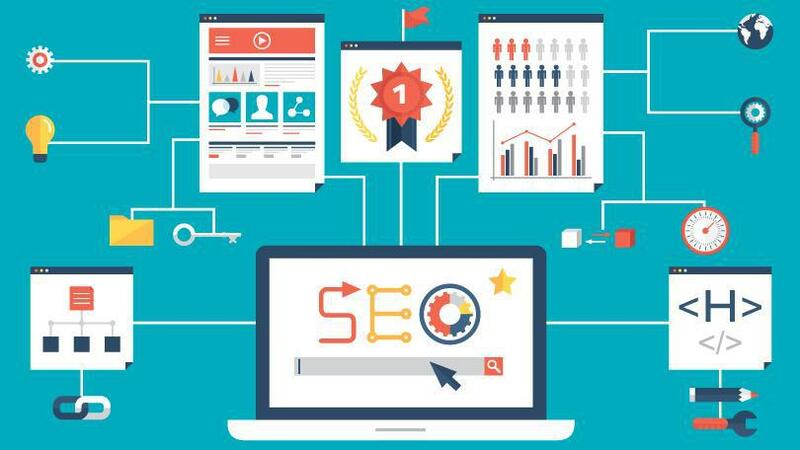 On page SEO is the practice of optimizing each individual web page throughout your website in order to rank higher or to earn more relevant traffic and searches. Keywords are questions, questions that users ask and that Google strives to answer in the best possible way. Linkbuilding is a concept that is part of the Off-Page Optimization and describes the process of acquiring external links (also called Backlinks). The purpose of linkbuilding is to intentionally increase the number of quality Backlinks that points to your own website. Linkbuilding can be done through conventional strategies or through more creative means. Any blogger, editor, journalist or copywriter who writes for the Internet, knows that SEO is important. These articles will help you do it so that you rank quickly. 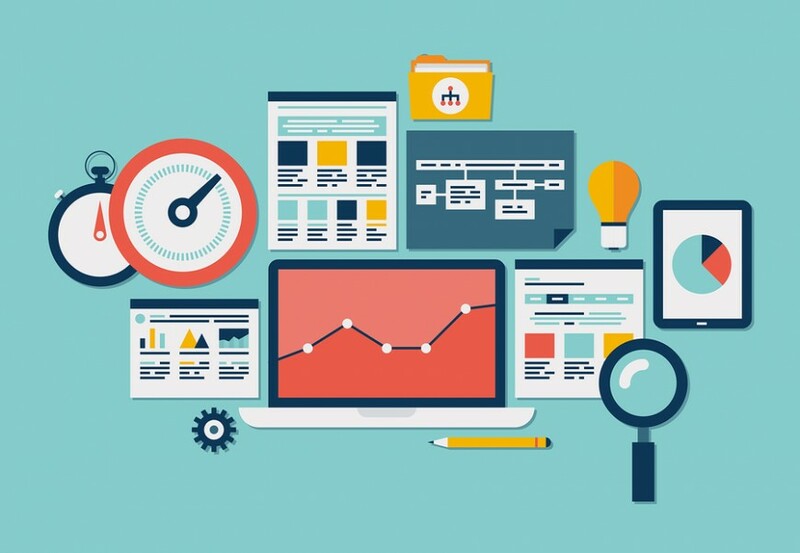 An SEO strategy requires great tools.